Consolidation is a popular trend in healthcare, and it shows no signs of slowing down. While consolidation will continue to mount in the coming years, the effect it will have on patient care is still unknown. In a recent Health Care 2020 report, HFMA President and CEO, Joseph Fifer, states that the challenge consolidation poses to healthcare providers is the ability to achieve higher levels of patient satisfaction while lowering the total cost of care. So how can you go about increasing patient satisfaction amidst facility consolidation? We have some tips to help you out. The effect of consolidation on patient care is not yet known; however, a major challenge many health facilities face during a consolidation is keeping patient satisfaction levels high. Your Press Ganey score is an important metric to understand, as the results from these surveys are made public, and are used by many patients when it comes time to seek medical care. In addition, your Press Ganey­­ score can help you see how patient satisfaction at your facility compares to your competitors. This is vital to ensuring you remain an industry leader and can help you determine where your facility is falling short. Another great way to help you understand and implement positive change and increase the satisfaction of your patients is to administer your own surveys. Since patient surveys usually require a substantial investment of time and energy, it's important to know what you are trying to measure before you start administering them to your patients. A successful patient satisfaction survey will help you identify gaps in service and help you to develop practical action plans for improving overall patient satisfaction. It's important to keep in mind the purpose of a patient satisfaction survey. The results are useless if you don't take the time and energy to digest the data. It may be helpful to enlist the services of a third party to help you analyze the data and create a strategy to improve scores in the future. Often it's tempting to compare your healthcare facility to only your competitors. While doing this can help you understand how you compare to the competition, it may not provide you with as much insight as you need to improve the satisfaction of your patients. Let's face it; your patients don't stop being consumers when they enter your facility. They know what it feels like to receive superior service, and they will base their perceptions of the service they receive at your institution against excellent service they have received at other companies. That's why it's essential to benchmark healthcare customer service against the best companies in other industries. It's important to remember that your patients will judge their interactions at your facility based on expectations set by industry leaders in hospitality, finances, retail, entertainment, and any other areas where industry leaders have turned excellent customer service into an art. If you are serious about improving your patient satisfaction scores, take note from some of the most successful hotel chains in the U.S. and around the globe. You may be surprised by how much you can learn by visiting and even merely reading about the stellar customer service practices of these hotel chains. Improving patient satisfaction scores starts with developing your systems and foodservice program. As consolidation in healthcare continues to increase, healthcare providers will need to find ways to shift from volume-based care to value-based care. This shift can prove challenging given the industry's constant pressure to cut costs wherever possible. While it may not be plausible to change the systems you have in place, it is possible to boost patient satisfaction scores by focusing on food quality. While focusing on food quality will not alleviate your patients from pain, high-quality foodservice can provide them with a welcome distraction and feelings of joy and fulfillment. 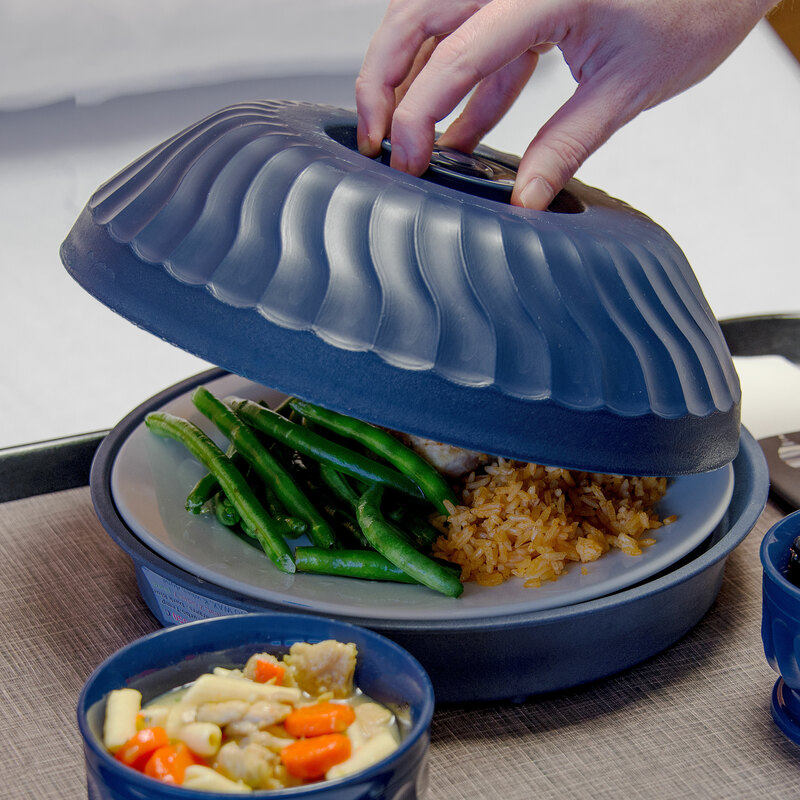 In fact, according to a recent Press Ganey focus group, 45 recently discharged patients perceived the process of meal service as a positive aspect of their stay at the facility. So how can you go about improving your patient’s perception of food quality at your facility? It starts with having the right equipment. The Duratherm induction solution by Dinex will allow you to keep hot food hot for longer, without compromising food quality. 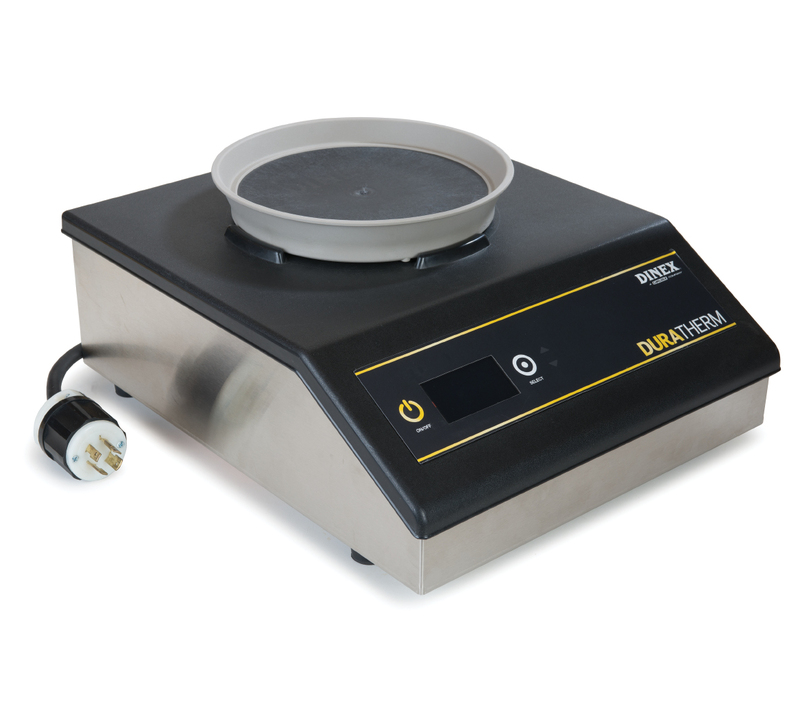 This induction charger can hold temperatures above 140 degrees for up to 90 minutes while preventing overcooking. 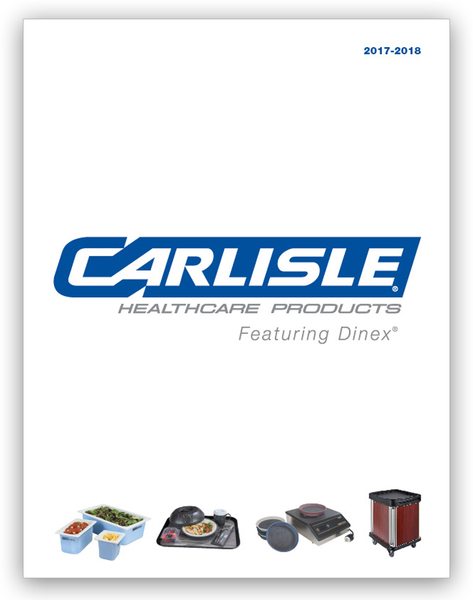 The best way to ensure your patients' meals are delivered hot every time is to invest in the user-friendly Duratherm induction charger. This induction solution is exceptionally user-friendly and can charge in 15 seconds. 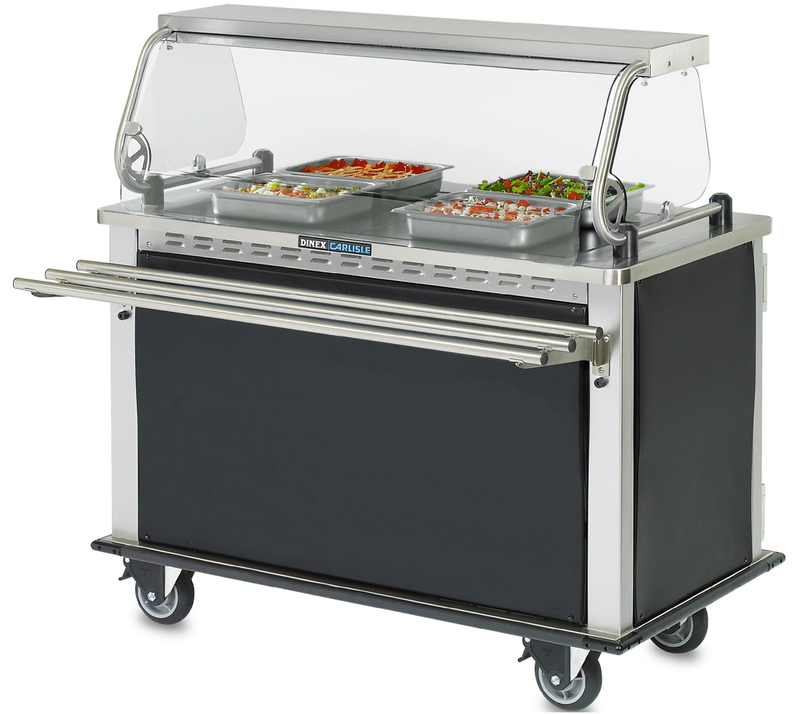 If you are looking to buy a hot/cold meal cart, look no further than the Thermal Aire III. This cart boasts a sleek design that provides optimal temperature control as well as the ability to diversify your menu. Its design makes Thermal Aire a perfect solution for satellite applications where the docking station can be installed in the remote location and cart transported from the main kitchen to the offsite building. This innovative meal delivery cart and docking station will allow you to deliver 20 to 30 trays at one time. In addition, the docking station optimizes hot and cold temperatures by combining a convection oven for hot food at 165 degrees Fahrenheit on one side, and a ventilated refrigerator that can get as cold as 33 degrees Fahrenheit on the other side. Investing in the Therma Aire III will delight your patients by allowing you to deliver crispy, fried products, along with soft baked goods such as biscuits and dinner rolls. Best of all this meal delivery cart is easy to clean and maneuver. Two aspects of foodservice that strongly influences patients' perception of food quality are accuracy and timeliness. To improve your facility's score in these three areas, you need the help of the. 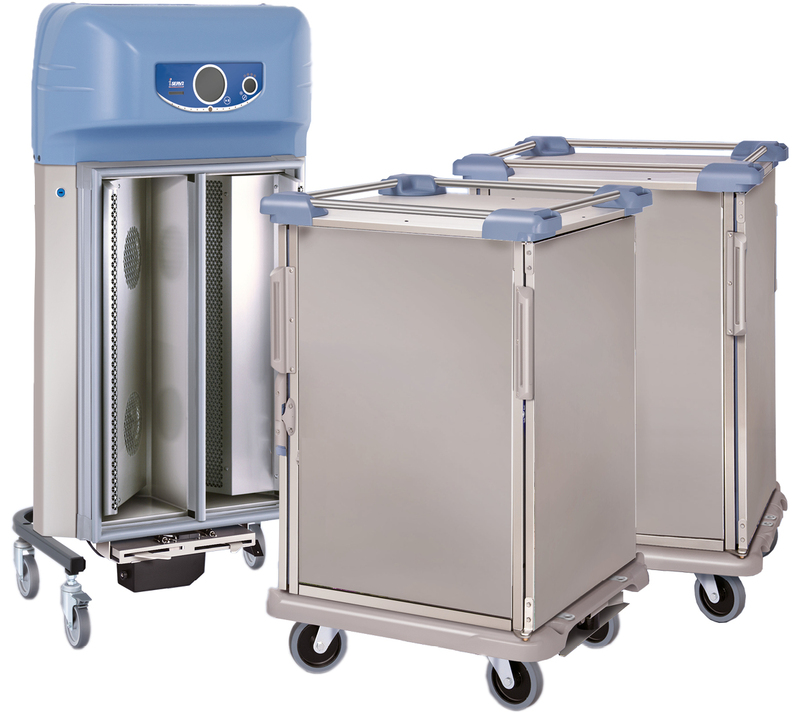 This meal delivery cart will help you extend your delivery window by maintaining hot and cold temperatures to accommodate patients who may not be in their room at the time of delivery. The MealsOnCommand II has 30 to 60 minute holding times, and its insulated center wall will help you keep hot food hot on one side, and cold food cold on the other. If you're serious about improving your patient satisfaction score, you need to consider purchasing this meal delivery solution. The third aspect that directly impacts your patients’ perceptions of food quality is the courtesy of service. The MealtimeXpress meal delivery cart can help you increase overall patient satisfaction by making the serving process more personalized. 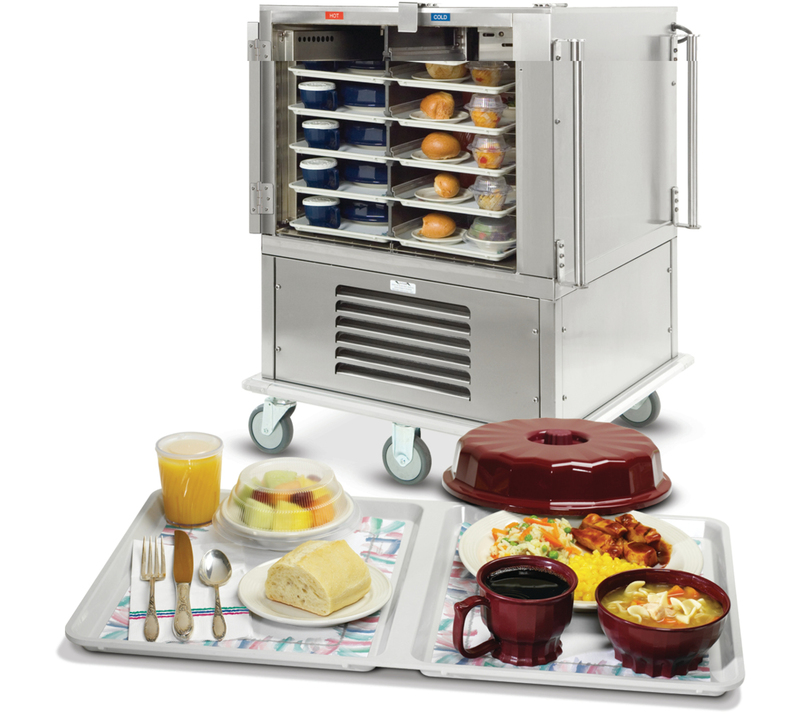 This foodservice delivery cart is perfect for doctor’s lounges, senior citizen centers and hospitals and comes equipped with two hot compartments, or one hot and one cold compartment. The MealtimeXpress meal cart will allow you to serve up to 40 meals without restocking and will keep your food at safe temperatures for extended periods of time. Investing in the MealtimeXpress food delivery cart is sure to please your patients. More on HACCP and tips to help you practice preventative food safety can be found on the FDA’s website. One way to ensure your staff is practicing proper food safety procedure is to put them through the ServSafe program. The ServSafe Program is an educational program that is used by more than 5 million foodservice professionals. This program is accredited by the American National Standards Institute-Conference for Food Protection and is recognized by federal, state, and local jurisdictions. There are three training areas of the ServSafe program: ServSafe Food Protection Manager, ServSafe Food Handler, and ServSafe Alcohol. Getting foodservice employees at your facility ServSafe certified should be a top goal for 2018. Test trays are another excellent way to help you implement standard operating procedures and increase consistency and food quality. Setting up test trays before delivery will ensure your plates appear and present well. Remember, the first impression a patient gets of their meal is through their eyes. You want to make sure the presentation of their trays is perfect every time. It's also important to conduct proper temperature checking before delivering your patients' trays. According to the Minnesota Department of Health, temperature and time are the most important factors for controlling disease-causing bacteria in food. It’s important to remember temperature danger zones. Utilize this guide to help you ensure your patients' meals arrive at a safe temperature every day. T–Stick® disposable thermometer sticks take the guesswork out of cooking time–temperature sensitive foods. Available for minimum internal temperatures of 140°F (60°C), 160°F (71°C) and 170°F (77°C); T-Stick® features an easy-to-read temperature indicator that will verify proper minimum internal temperatures in seconds. T-Stick® is ideal for off-site grilling and catering. Once used, sticks can be saved as a permanent part of your HACCP records. Improving your Press Ganey Score and overall patient satisfaction score starts with your employees' ability to think about the purpose of their role, and how it is important to patients and the organization. An employee's purpose is separate from his or her function. His or her purpose is the reason why the job exists. The purpose of their position is to benefit and improve the lives of patients, and you cannot afford to let employees lose sight of this. There is no way to successfully resolve patient issues without having the ability to apologize for lapses in service. Being able to apologize means you will have to stop getting defensive and start empathizing. Being able to empathize with your patients will help to resolve issues quicker, improve patients’ feelings about your organization, and result in higher satisfaction survey results. The consolidation trend in healthcare is not likely to go away any time soon. While consolidation is experiencing no signs of slowing down, the patient impact of this new approach is not yet known. The unknown patient impact makes it more critical than ever for healthcare facilities to shift their focus from volume-based care to value-based care. Changing the entire mindset of your facility may be easier said than done, but there are strategies you can use to make the shift much more manageable. You're now armored with seven strategies you can use to help your facility make the switch and continue improving your patient satisfaction scores. Performing even a few of these strategies at your organization could heed positive results at your facility.